is a leading international conference in the areas of knowledge discovery and data mining (KDD). It provides an international forum for researchers and industry practitioners to share their new ideas, original research results and practical development experiences from all KDD related areas, including data mining, data warehousing, machine learning, artificial intelligence, databases, statistics, knowledge engineering, visualization, decision-making systems and the emerging applications. PAKDD 2016 will be held in the beautiful coastal city of Auckland, New Zealand. 2016/04/08: Online registration deadline is 11:59pm April 13th NZT! 2016/03/11: Reminder: Early Bird Registration closes midnight March 18th PST! 2016/03/08: Social events (Banquet and Reception) have been announced! 2016/02/26: Contest results have been announced! 2016/02/09: Program details have been announced! 2016/02/09: Student Travel Award recipients have been announced! 2016/01/14: Reminder: Camera Ready Papers are due January 15th! 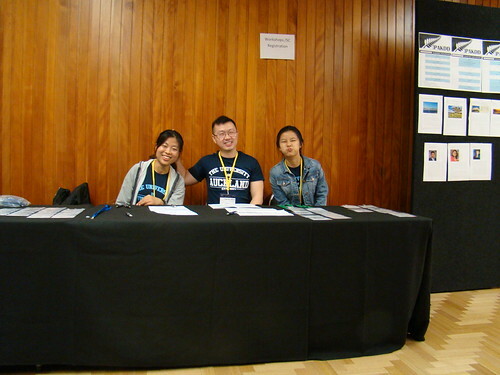 2016/01/14: Conference registration is now OPEN! 2015/12/22: Information on camera ready submission has been announced! 2015/12/18: Information on accommodation has been announced! 2015/12/15: List of accepted papers has been announced! 2015/12/08: Accepted tutorials have been announced! 2015/11/24: PAKDD 2016 Contest has been announced! 2015/10/05: Accepted workshops have been announced! 2015/10/04: The submission deadline has been extended! 2015/09/19: Call for tutorials has been announced! 2015/09/10: The submission site is now ready! 2015/08/25: Call for workshops has been announced! 2015/08/19: Call for contests has been announced! 2015/07/18: Call for papers has been announced!